Bredene-aan-Zee is a small resort close to Ostend. 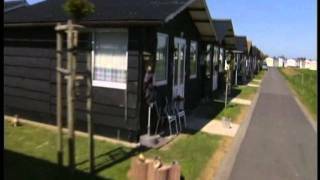 Camping Warande has mainly seasonal accommodation and is located to the east of the town and nearby naturist beach. There are 280 pitches, 20 for touring units which are grassy and generally without shade. All pitches have 10A electricity, water, drainage and cable TV connections. On-site amenities include a well stocked supermarket and two play areas for children. The principal toilet block is centrally located a small charge is made for hot showers. Bredene is famous for its long, sandy beach and renowned water quality. The site offers easy access to the town’s amenities and has two children’s play areas. Around Bredene there are miles of cycle tracks through the timeless countryside of the polders. Ostend is the largest city on the Belgian coast and also has a fine beach. The city is also worth visiting to view the fine neo-Gothic church of Saint Peter and Saint Paul, as well as its casino and Napoléonic fort. The narrow streets around Het Vissersplein are traffic free and worth exploring, particularly during the city’s important music festival. Four sanitary units (two renovated) with one unit serving the touring pitches. Washing machine and dryer. Play areas. WiFi over part of site (charged). Approaching from the west (France) leave the A10 motorway at the Oostende exit and join the northbound N33 to Oostende and then continue east on M34 as far as Bredene-aan-Zee. Camping Warande can be found east of the town centre on Kon. Astridlaan and is well signed.